In the mid-19th century a burgeoning lumber industry grew in the area, based upon the plentiful white pine in the forests along Georgian Bay. In 1843 John Hogg built the first local sawmill at the mouth of the Hogg River. 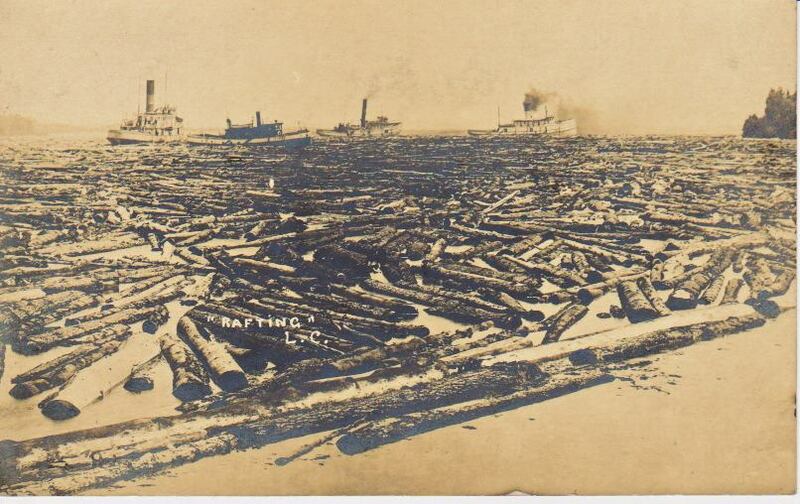 As the number of mills grew schooners frequently called to load lumber for ports in Canada and the US, and after the Midland Railway from Orillia reached Victoria Harbour in 1878, rail transport to Toronto and the south was available. John Waldie, an entrepreneur from Toronto, came to the area in 1885 to buy the Kean, Fowlie, and Power mills along with hundreds of square miles of timber rights, bush camps, schooners, tug boats, warehouses, and yard engines. The previous owners had suffered because the railway to Victoria Harbour had not been built yet and they had difficulty getting their goods to American markets. 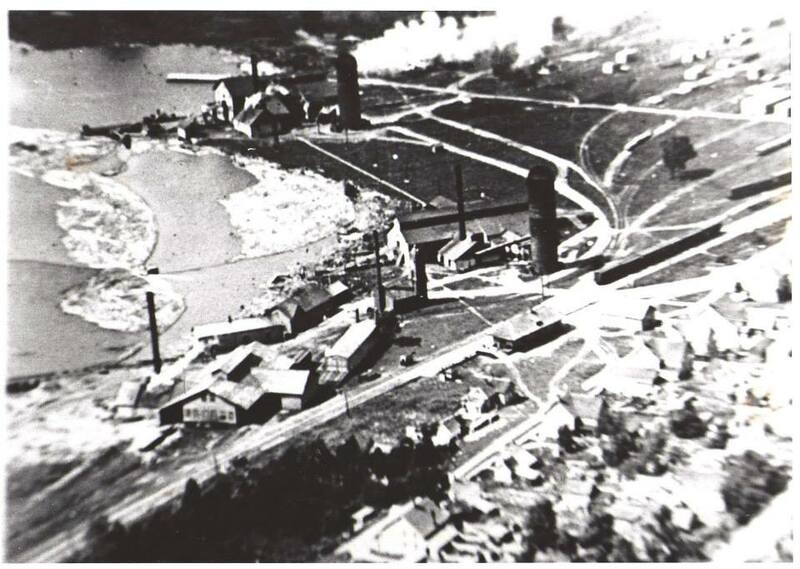 In 1886 All of the mills were incorporated under the banner of The Victoria Harbor Lumber Company. The Kean, Fowlie and Power mills became known as the No.1 and No.2 mills; in 1890 he purchased John McDermott’s mill on Bergie Point which became mill No.3. 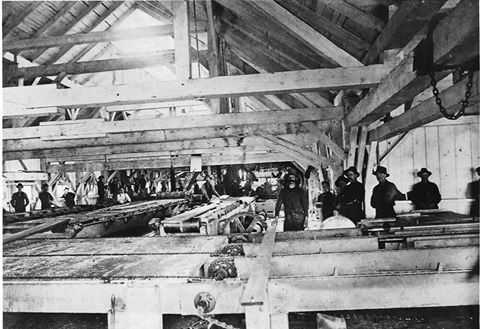 The lumber mills were the only source of employment money for most workers. They worked 10 hours a day, 6 days a week, with only July 1 (Canada Day) and Labour Day as holidays. Workers were paid once a month but could use coupons to buy goods at the company store; the amount used was deducted from their pay. This type of credit was more common during the winter months when the mills weren’t running. Waldie owned three tugs, Superior, Reginald and Charlton that were used to tow rafts of logs from as far as the North Shore to the mills. Waldie’s sons each had a part in the company. 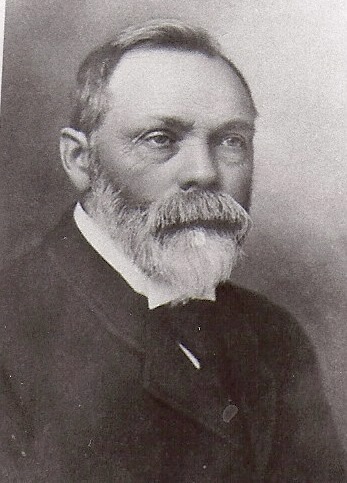 Fred – the oldest – managed the company when his father died in 1907; Scott and Percy died in World War I and Bob was a lawyer in Toronto who took care of the company’s legal business. At the time of John Waldie’s death the company was producing 200,000 board-feet per day and was the second largest of its type in Canada. By 1911 Victoria Harbour was the largest village in Simcoe County. However, during the Great War, Mill No.1 was torn down, and Mill No.2 burnt. By 1920 most of the commercial pine had been harvested. On November 26, 1927 the company ceased operations and the third- and last remaining – Mill was torn down. Several hundred workers were laid off and the town lost its economic base. 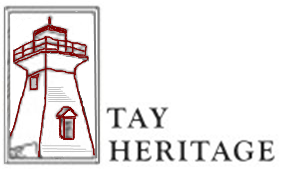 This entry was posted in heritage, history, Uncategorized, Victoria Harbour and tagged cultural heritage, Georgian Bay, heritage, local history, lumber. logging, QR Signage, railroad, Simcoe County, Tay Township, Victoria Harbour. Bookmark the permalink.